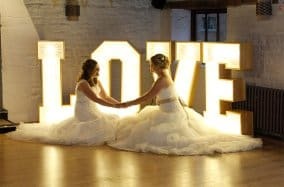 We are an event company based in the heart of the Uk.We provide many services around central England and these include. 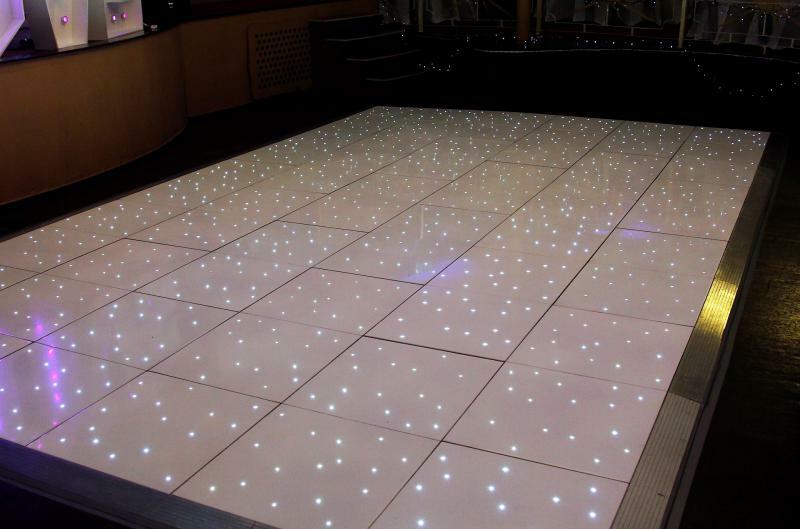 Led Dancefloors, Photo Booths, Mobile Disco, Uplighters, Led Backdrops, Large Love and Mr and Mrs Letters. 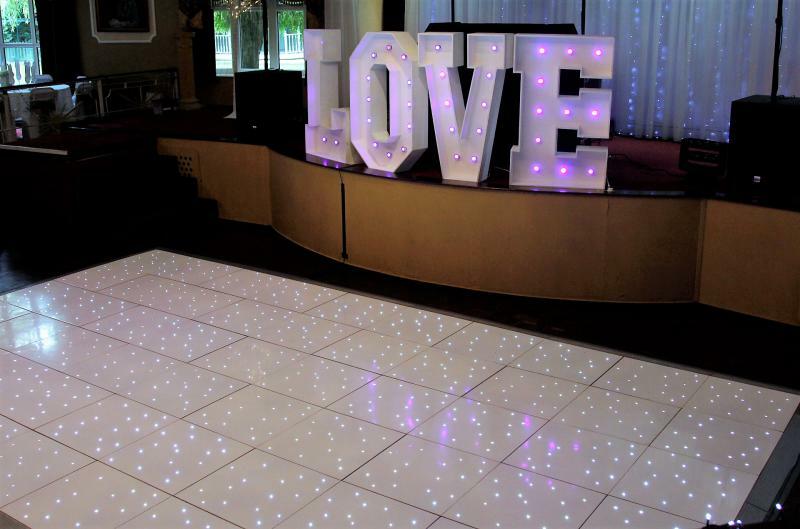 Mobile Disco Birmingham provided Mr and Mrs Davidson a beautiful white Led Dance Floor and the new 4ft Love Letters for their wedding on the 23rd September 2017. Sean contacted us in July 2017 via email and told us about his requirements, and we advised Sean on what would work best for this event. The bride and groom had around 200 guests arriving, and we suggested a 20ft x 12ft would work fine in that venue. 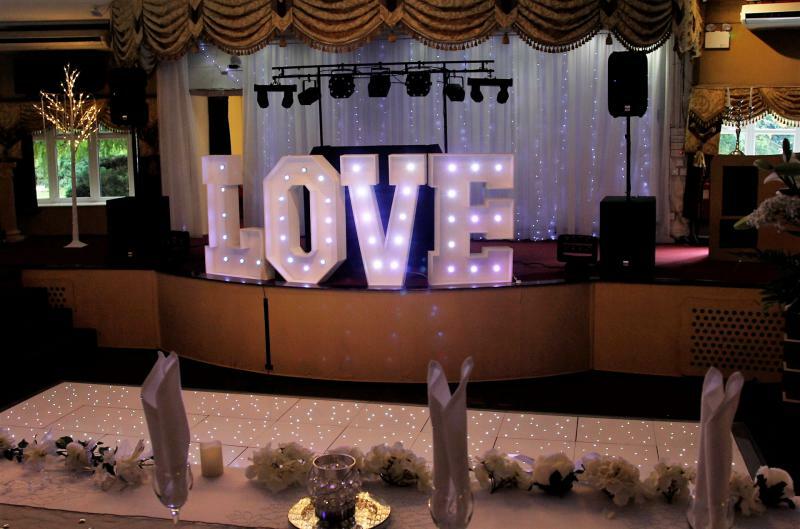 It was a week later Sean contacted us again after looking back on our website and seen the Led love letters. The happy couple decided to book our services on the quality of our products and communications between ourselves had been excellent. The venue was Blotts Country Club, Adbolton Lane, Holme Pierrepont, Nottingham, NG12 2LU. We arrived at 11 am and was set up by 12.30pm. 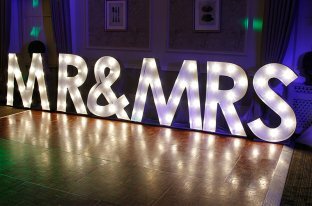 The venue manager loved our products and asked for our details for future booking and asked us if we would like to exhibit at their wedding fayre on the 18th February 2018. We said yes we would love to as it’s an excellent venue. The Blotts Country Club has been a family-owned business since 1981 and has become one of the top wedding venues in the Midlands area. Set within wonderland parkland and as ample free car parking for all your guests. They can also cater for the smaller parties from 50 up to around 440 guests and can be bespoke to suit all your requirements and needs. 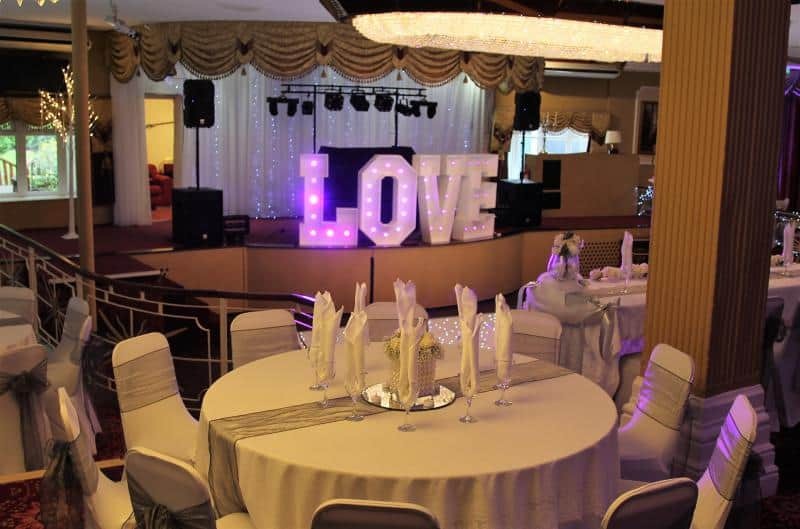 Blotts Country Club is as licenced to conduct all civil ceremonies. 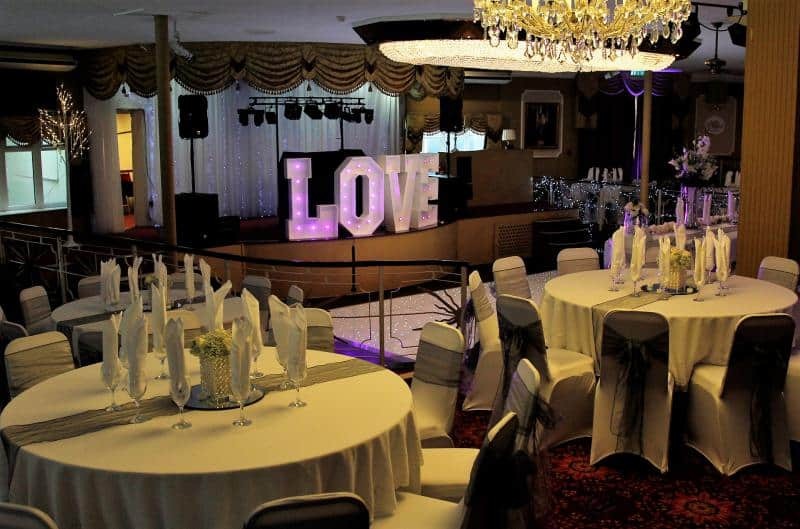 Overall we enjoyed our visit to this fantastic venue and hoped to return soon. We provide many services around Nottingham and the surrounding areas, so please contact us for more details.